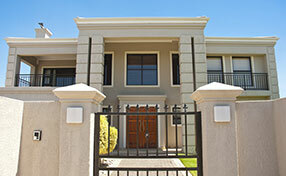 The weather, as well as other natural elements, can be a source of major wear and tear to items like fences and gates. Well, we all know that they are always exposed in the open to wind, rain, snow and extreme heat. Therefore, there will be a time when these malfunction or totally break down. If your metal gates get jammed or creaky, here's how to perform driveway gate repair the right way. 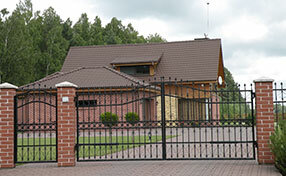 Among the natural enemies of steel and iron gates are moisture and cold weather. These elements are very much capable of jamming their hinges or locks, and if left untreated, the rust and dirt could accumulate and stick to the hinge lubricants, and jam them. A good way to eliminate rust from these metal fixtures would be to apply a suitable lubricant on the hinges and other moving parts. • Scrub the metal hinges with a garden brush, to eliminate any accumulation of leaves, moss, oil and other debris. 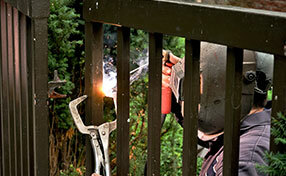 If necessary, spray the gate with water and let it dry before moving to the next gate hinge repair step. • Apply a little amount of penetrating oil such as Liquid Wrench, WD-40 and other brands (depending on the manufacturer's suggestions), straight to the hinges. These oils should help loosen rusted parts, as well as lubricate the other jammed components. When applying the oil, gently open and close a couple of times too. • If possible, you could also try lifting the gate off its hinges, for safe and hassle-free gate repair. Also apply a required amount of white lithium grease to the hinge that's attached to the frame. Apply more of the grease to the other hinges, and reconnect them once again. When applying lubricants to these fixtures, make sure you only use penetrating sprays and white lithium grease, and not powdered graphite, that often tends to accumulate dust and dirt, which could jam the wrought or ornamental iron gate again.